Everyone needs water. And if you're working in the field on a photo shoot, you should have your supplies readily available. 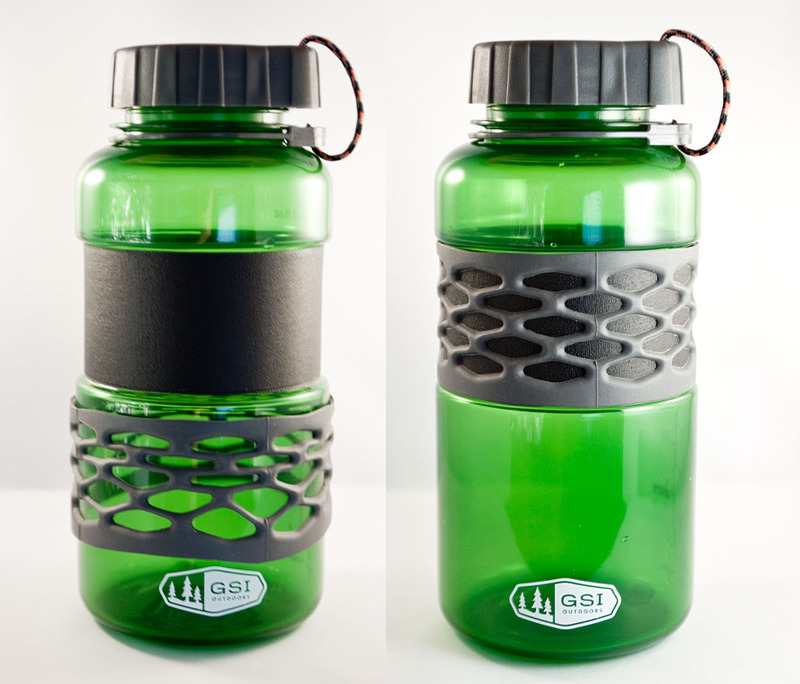 I've discovered a great water bottle for photographers who hike, camp, or who are always on the go: the GSI Infinity DukJug . The basic specs for the DukJug are good for a container that sells for less than $9. The 1 liter capacity bottle weighs 6.6 ounces empty. 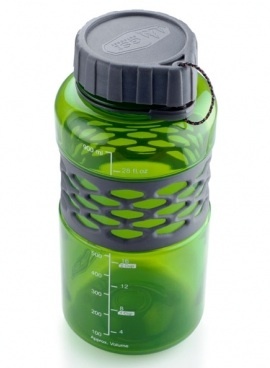 It's constructed of BPA-free Polypropylene, has a quick-release cap, sip-it lid, and a very nice silicone grip. One Amazon reviewer complained that his water had a chemical odor to it. I have not had that experience at all. I washed the bottle when I first bought it, and the water has tasted great ever since. GSI DukJugs with gaffers tape wound around the recessed area, then the silicon grip reapplied. Click on images for larger view. But what makes the DukJug different is that you can pull down the silicone grip, wrap gaffer's tape in the recessed area (or duct tape for non photographers who don't need a removable adhesive), and always have tape available for those 1001 situations that are hard to anticipate. To set up your DukJug, just pull down the silicon grip, wind your gaffers tape evenly to keep the surface smooth, then reposition the grip. 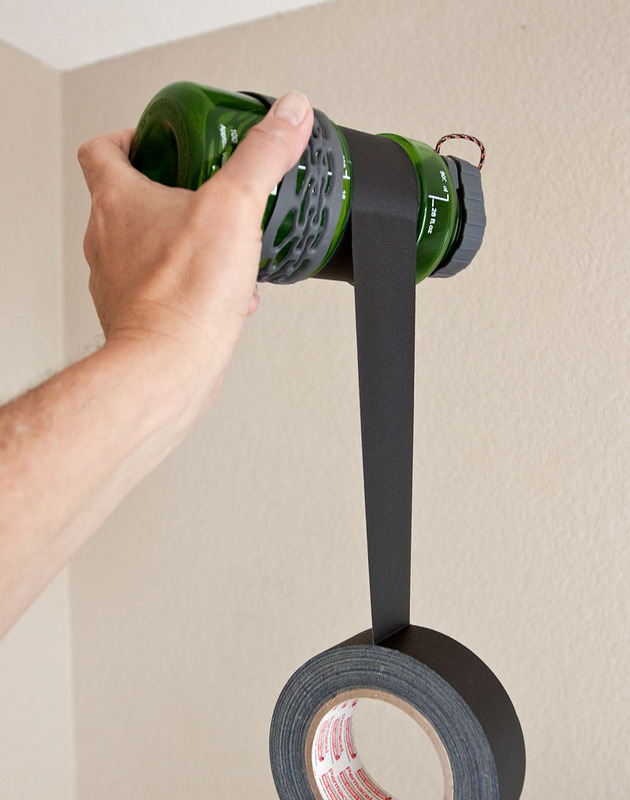 The tape adds very little weight to the bottle, but can be a huge lifesaver when you need to mend some fabric or hold a reflector in place. Not bad for less than $9 . It keeps the water cold for 12 hours. @rd, stainless steel bottle in the field with your camera? at 26oz.? the thing is more like 3 lbs.! very heavy. GSI is light , very light and at $9 def worth it. Stainless steel is not light and in the field when you working with your camera, every lb. counts in terms of weight.